The cold season in most regions of Canada is not only characterized by the need for warmer clothes and foods but also by an increase in energy bills which in extreme cases can be up to 6 times higher than in summer. 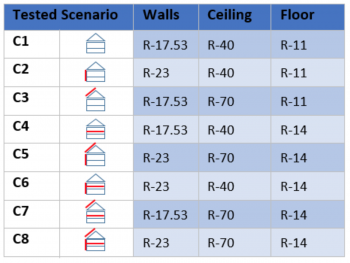 A thermal upgrade of the building envelope is found to be one of the most effective methods to save energy cost. In Canada most common insulation materials for buildings are fiberglass, mineral wool, cotton, and cellulose. These insulation materials can be applied in form of batts insulation, blown in insulation, spray foam etc. HOT2000 was used for evaluation of annual electricity and natural gas consumption of the 8 scenarios. The results show that due to the upgrades in walls, ceiling and floor insulations an annual decrease of 5.8% in electricity and 6.4% in natural gas is possible. 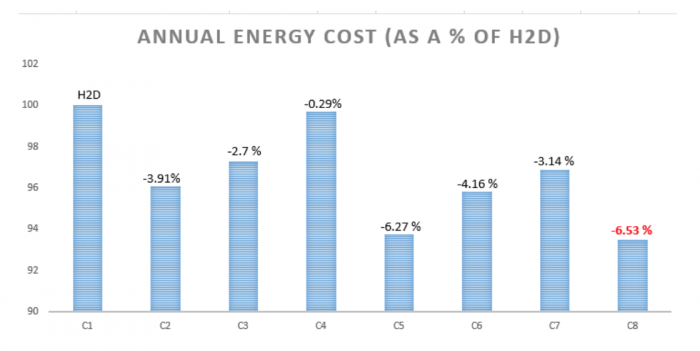 It is interesting to note that even a small improvement in insulation such as C4 results in decreasing annual energy consumption. The most effective insulation can be identified as C8 where the net insulation increases in all house components. However, if you want to save on both investment costs and energy bills then improving your current wall insulation system may be the most rewarding option. 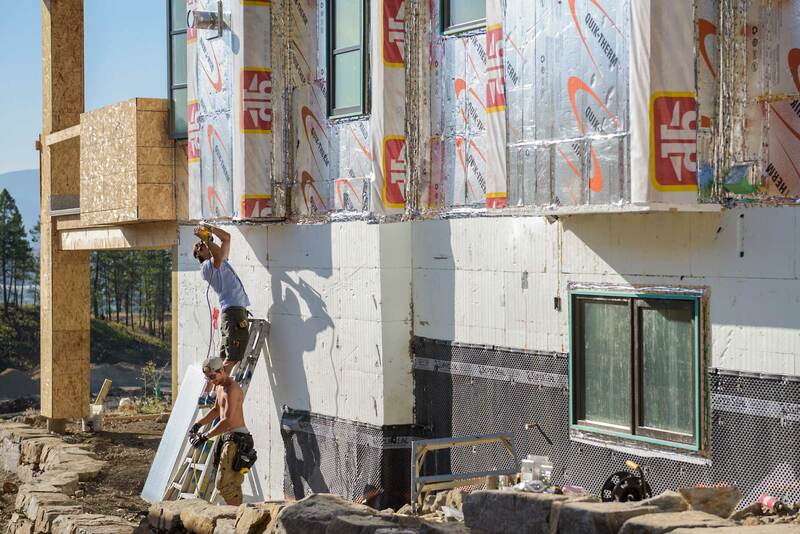 The additional insulation in the Home of Tomorrow (C8) costs about $2000 extra, resulting in an annual decrease in energy bills by $180 dollars and hence continuous savings on your bills throughout the life of your house! For more information of different insulation materials available for your house CLICK HERE! Stay posted for more real life data results in the future. In next month’s issue we will talk about the best lighting system for residential buildings! wildenlivinglab on Upgrading to a Heat Pump Hot Water System Pays Off in Less Than 5 Years.